CLEVELAND -- An Ohio man claimed to be angry at a woman when, authorities said, he shot and killed an elderly passerby Sunday afternoon, then posted video of the murder on Facebook. Police urged the suspect to turn himself in. He remained at large early Monday, and police widened their manhunt. Late Sunday, police issued an aggravated murder warrant for him and said in a statement that he may have traveled out of state. 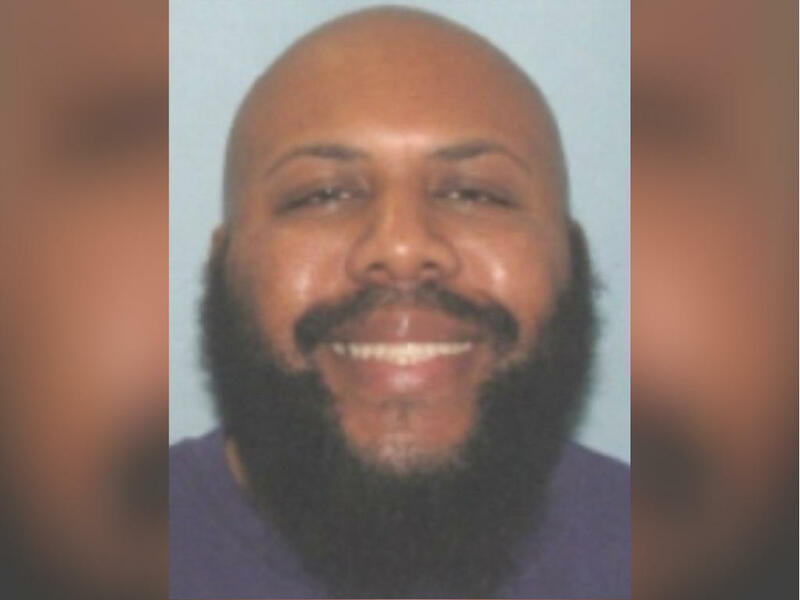 Residents of Pennsylvania, New York, Indiana and Michigan, in particular, were asked to be on the alert and told not to approach Stephens if they spot him. Police were searching for a white Ford Fusion that belongs to the suspect. Williams said the car was recently purchased and the plates could have been switched. Police announced the car had an Ohio temporary tag E363630. In the video, which appeared shaky, Stephens got out of his car and randomly targeted Godwin, who was holding a shopping bag. Stephens said the name of a woman, whom Godwin didn’t seem to recognize. “She’s the reason that this is about to happen to you,” Stephens told Godwin before pointing a gun at him. Godwin can be seen shielding his face with the shopping bag. “There are no more victims that we know are tied to him,” he said. The chief also said investigators have been talking with family members and friends of Stephens, who is employed at Beech Brook, a behavioral health agency headquartered in Pepper Pike, near Cleveland. It was not immediately known what Stephens does for the agency. Its website says it will serve more than 18,000 children and families this year. WOIO obtained photos of Godwin Sr. from his family. They had Easter dinner together shortly before he was slain. The video of the killing was up on Facebook for about three hours before it was removed. Stephens’ Facebook page also has been removed.